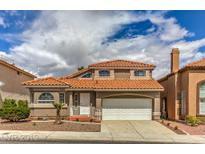 Below you can view all the homes for sale in the El Capitan Ranch subdivision located in Las Vegas Nevada. Listings in El Capitan Ranch are updated daily from data we receive from the Las Vegas multiple listing service. To learn more about any of these homes or to receive custom notifications when a new property is listed for sale in El Capitan Ranch, give us a call at 702-930-8014. Good Home with Good Price you won't want to miss it. MLS#2090709. One Stop Realty. This layout also offers a Gen X Suite, or bedroom + bonus room + bath downstairs, and an expansive covered patio, perfect for an outdoor living space. MLS#2084352. Vegas Dream Homes Inc. Solar screens & ceiling fans for lower energy costs! MLS#2083911. Congress Realty. Charming 4 bedroom home in the northwest with German oak hard wood flooring, granite countertops, embellished tile backsplash, reverse osmosis, in ground pool with water feature, delightful and spacious open floor plan with sunken living and family room, fireplaces in both, executive golf course, water park, and huge rec center just next door to this great subdivision MLS#2083596. Congress Realty. Come See This Absolutely Beautiful Home, Very Popular Model, Well Kept And Very Clean, Granite Counter Tops In Kitchen, Tile And Wood Floors Downstairs, All Appliances Stay, Desert Landscaping Front And Back, Ready For You To Move Right In. MLS#2081820. Realty ONE Group, Inc. Walking distance to Durango Hills Community Center and Golf Club. MLS#2081744. New Door Residential. Spacious floor plan w/sunken formal living room,wood flooring & fireplace.Elevated formal dining.Sunken familyroom w/fireplace & bar.Gourmet kitchen features granite counters,rich cabinetry & breakfast nook.Large loft doubles as 2nd Family room.Sprawling master w/picture windows & custom WI closet.Beautiful backyard w/covered patio, pool & amazing sunset views! MLS#2078634. Signature Gallery Of Homes. Planned to perfection~make great memories in your HOME! MLS#2079877. Coldwell Banker Premier. Sparkling pool with landscaped, entertainers back yard, drip systems for plants for low maintenance. MLS#2080697. Love Local Real Estate. TRULY IMPRESSIVE NW 2 STORY ~ RARE FIND THAT HAS IT ALL HIGHLIGHTED BY AMPLE SQFT, FINISHED BASEMENT & 3 CAR GARAGE*SPARKLING POOL & WATERFALL THE FOCAL POINT OF A GORGEOUS BACKYARD BUILT FOR ENTERTAINING*GREAT FLOOR PLAN DESIGN w/ 4,979sqft ~ 5 BEDROOMS + HUGE LOFT + BASEMENT*UPGRADED KITCHEN OVERLOOKS SUNKEN FAMILY ROOM & ELITE CUSTOM BAR*FORMAL LIVING & DINING ROOM*SEP MASTER SUITE*EXCELLENT CURB APPEAL*THIS ONE HITS ALL THE CHECKMARKS! MLS#2077104. NextHome Community Real Estate. You Also Have A Large Backyard For Entertaining. MLS#2078178. Rothwell Gornt Companies. All appliances and a convenient water softener and door bell recognition is included. 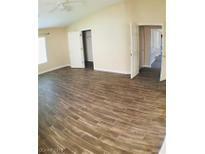 MLS#2073979. Platinum R.E. Professionals. Backyard is a delight w large patio, pool deck and inground pool surrounded with an ez care landscape. W/D on main floor. MLS#2072902. BHGRE Universal. The enormous kitchen complete with granite countertops, Kitchenaid appliances,including a built-in fridge and massive island lends all the space necessary to feed as many as you need. A must see! ! MLS#2070241. Wardley Real Estate. Back yard oasis with pool/spa built in covered bar and grill., with tv, microwave, fridge. Beautifully landscaped! New carpet upstairs! MLS#2069933. eXp Realty. Great House In North West - Huge Backyard - Trilevel - Open Floorplan - Tile And Carpet - Close To Freeways And Shopping - Formal Living Room - Family Room - Dining Room - 3 Car Garage MLS#2069638. Centennial Real Estate. Stunning Backyard, Swimming Pool With Waterfall & Spa. MLS#2067193. Realty ONE Group, Inc. Granite counter top, cherry wood cabinet, well insulated, AC is only 2 years old. MLS#2067429. Nevada Real Estate Corp.
Backyard is an oasis w/lawn & covered patio. MLS#2067566. GK Properties. Home Features; Large eat-in kitchen w/granite counters*Kitchen open to family room that leads to entertainers backyard & sparkling grotto pool/spa*Formal living room & dining room*Large master suite & bath w/separate tub and shower & dual vanities*Security System w/cameras*Custom courtyard gate*2 Newer A/C's*Low HOA*Must See! ! MLS#2066008. Redfin. spacouse secondary bedrooms, Backyard is awesome - cov patio, lawn, and established trees add serenity and privacy. MLS#2054187. NextHome Integrity. NEW water heater. Don't Miss! MLS#2052033. Offerpad. Sq Footage 4979 To Include The Finished Basement, So Many Unique Qualities In The Home A Must See! MLS#2047344. Coldwell Banker Premier. Come View today! !LEASE BUYOUT-30 DAY MOVE-IN MLS#1984072. Turn Key Property Solutions.